Liaoning Gold Time Golf Club is a spectacular setting for golf, providing a feeling reminiscent of links courses of the British Isles. 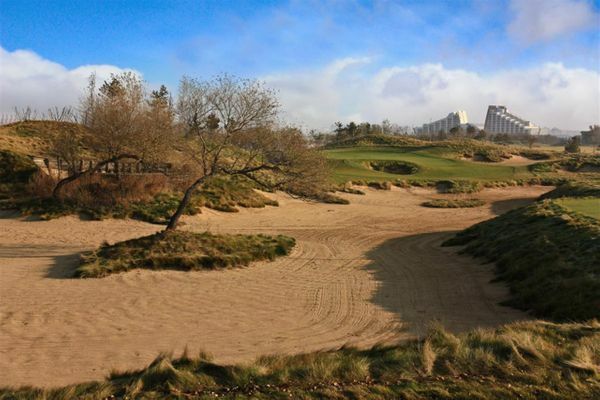 Located north of Dalian on the Liaoning Peninsula, the course sits on a sandy property along the Bo Hai Sea. The Par-72, 7,200 yard layout incorporated some of the most enchanting elements of links golf, from rugged natural style bunkering, sandy waste areas, sand dunes draped in fescues and artfully contoured fairways.